In our lives, many situations and problems crop up. 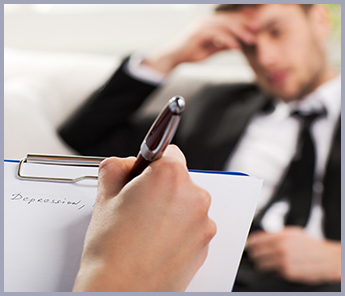 Our counseling services can be very beneficial for identifying and working through these challenging situations. Stress Free Counseling can help you find solutions to your problems. By talking in a safe and caring manner, healing often does occur. The following quiz covers a range of situations that have proven time and again to respond well to therapy. We are not saying that everyone with these conditions needs or would absolutely benefit from counseling services. But we believe you might consider individual or family psychotherapy after you visit a professional and your situation is diagnosed. A therapist can help you if you answer yes to some of these questions. Are you feeling stressed, depressed, or hopeless? Do you have secrets inside that need to be talked about? Do you feel distant from your significant other? Are you in the process of a divorce or separation? Are you trying to find a direction/meaning for your life and career? Is your job/career causing too much stress? Do you need help coping with your children? Are you having any sleep, eating or sexual problems? Do you need help with your child's behavioral, emotional or school problems? Do you need help, advice, or resources for aging relatives? Do you feel ashamed or guilty about anything? Do you have panic or claustrophobic attacks? Are you facing a life threatening illness? Does anger, guilt, or fear place restraints on your life? Do you need help working the 12 Steps? Do you have arguments with relatives and co-workers? Do you experience profound mood swings? Are you a veteran who is suffering? Are you preoccupied with thoughts of suicide? Are you doing any self-destructive harm or behavior? Do you have questions about your sexual behavior?